With Thanksgiving just around the corner, pairing holiday-themed activities with lesson planning is an easy way to keep students engaged and feeling festive. The following samples are multi-subject classroom activities, along with supporting abcteach materials, to help you get this accomplished in no time. • Holiday cooking – During your Thanksgiving parties, use recipes to practice skills such as measurement, fractions, and time. This can be done as an at-home assignment for students to bring in, or as a larger in-class activity. • Holiday Calendar – Create a November calendar and count down the days until Thanksgiving. How many days have already gone by? What percentage of the month is it? What fraction of the year does November represent? How about fall months? • Reinforce key math skills, such as addition and counting, with holiday-themed interactives. • Landscapes – Recreate the eastern shore landscape, along with regions inhabited by Native American tribes. Create drawings, mobiles, or clay figures. Discuss how the tribes’ homes were different. How did their clothing reflect this? What is the weather like and how does that affect their lifestyles? • Flora and Fauna – In addition to the physical landscape, what were common plants and animals of that region? Draw a picture or paint the scene. How did that differ with various tribes? • Mayflower – Discuss the makeup and mechanics of the Mayflower. How did it sail? What were the components? What are the parts of a ship? How might weather play a role? How does the Mayflower differ from other types of boats? 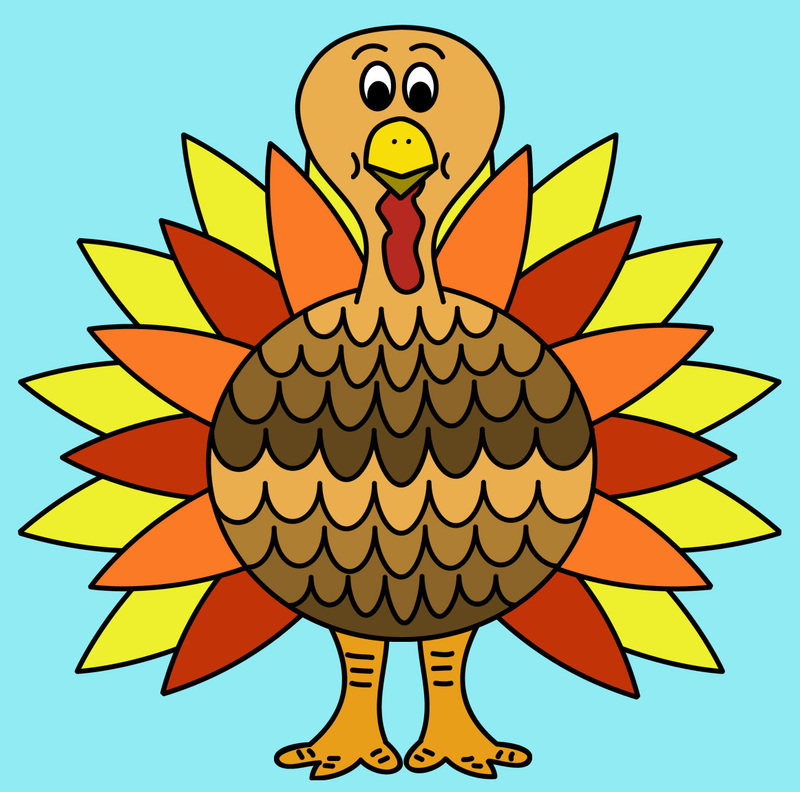 • Vocabulary – With bingo flashcards, practice Thanksgiving-themed vocabulary words in multiple languages, including American Sign Language. 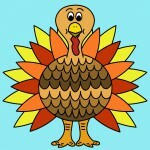 • Holiday Celebrations – Do other countries celebrate Thanksgiving? If not, do they have similar holidays, traditions, or customs? Create a word puzzle with abctools that includes key terminology. • Watch a Thanksgiving movie with foreign language subtitles. Include a Turkey Day treat that’s either made as a class or at home. In the language that you are teaching, display the recipe, review the steps to make it, and identify the ingredients. • Story Reporting – Have students select a book for at-home reading. During class time, students will share about what they read in a variety of fashions: create a poem, sing a song, be a TV reporter, or conduct a group interview. • Play Time – Choose a holiday book to read in class, at home, or both. Pick a favorite scene and have students act out the scenario. They can be in traditional dress, include props, etc. • Puppet show – Recreate a Thanksgiving scene using felt, paper bags, or paper roll puppets. • Thanksgiving Collage – Create a collage of holiday images or Thanksgiving-themed shapebook with holiday terms cut from magazines. • Leaf Turkey Wall Hanging (Member Activity) – Hand-craft a turkey wall hanging from leaves. Take a playground field trip to search for leaves, or have students bring them in. • Map It Out – Create a colonial community, complete with homes, gardens, and activity places. Include a compass and have a discussion about directions and location. • Role Play – Take your students back in time and have them play certain figures in the community. How were the responsibilities of men, women, and children different? How did they feel? How did the viewpoint of Pilgrims differ from that of Native Americans? • Thanksgiving Lessons – What lessons did the Indians teach the Pilgrims? Vice Versa? What do we think life was like during the 1st Thanksgiving? Research the facts and compare how they are similar or different. Use “KWL” (Know, Want, Learn) or graphic organizers to display students’ responses. The Thanksgiving season offers great opportunities to get festive, but more importantly, it instills the value of sharing and caring for others. We hope these activities help relay that message and add excitement to your classroom plans.